Do you love protein? Are you tired of music that’s made according to the human traditions of melody, harmony and rhythm? Sounds like you’re ready for the Folded Proteins EP. It’s made up of four tracks, published yesterday, whose melodies are based on the physical shapes of proteins — those long molecules made of amino acids that you and every other living thing are made of — with each note corresponding to one of the protein’s chemical or geometrical segments. One of them sounds like you’re in a spooky, glitched-out level of Mario Kart. This one sounds like you’re about to get stabbed in a high-concept Soviet horror movie. This one sounds like someone’s having a freaky but somehow soulful mental breakdown. And the last one’s just boring. Even proteins have bad days in the studio. 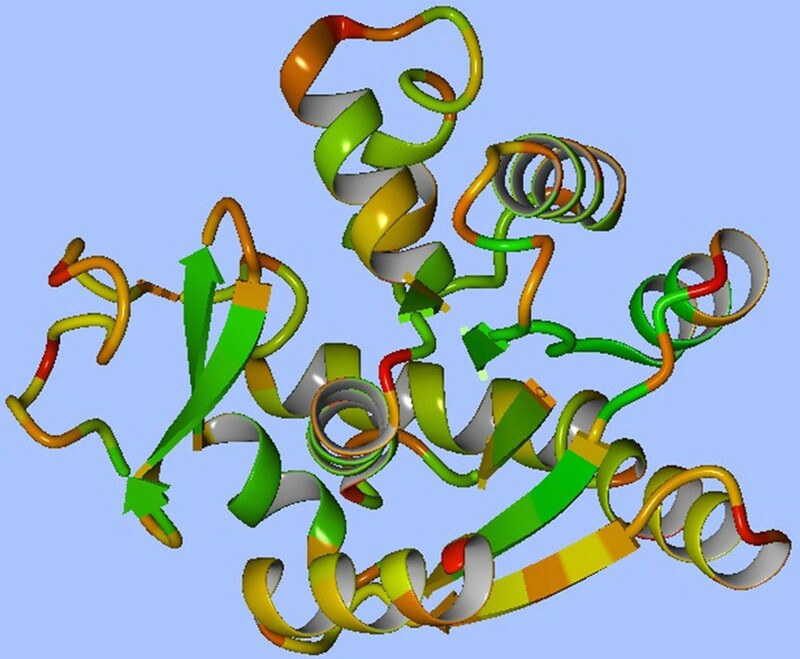 These weird songs came out of a research collaboration between Robert Bywater a chemical biologist studying protein folding at the Francis Crick Institute, a biomedical research center in London, and Jonathan Middleton, a composer and professor at Eastern Washington University. For their most recent research, published in the open-access journal Heliyon, the pair tried to turn the structure of proteins into melodies to see if listening to a protein could help researchers understand how they were shaped better than looking at 3D renderings or reading over some plain old datasets. Which is why Bywater approached Middleton to see if a little musical augmentation might make things easier to grasp. Middleton has become something of a superproducer in the field of data sonification (which is, in fact, a thing), having collaborated with biologists, economists, and corporate product designers to turn their data into sound — one upcoming project involves turning the migration patterns of salmon in rivers in the Pacific Northwest into a song. But his involvement in this very particular corner of the music world started almost by accident, with a camping trip. 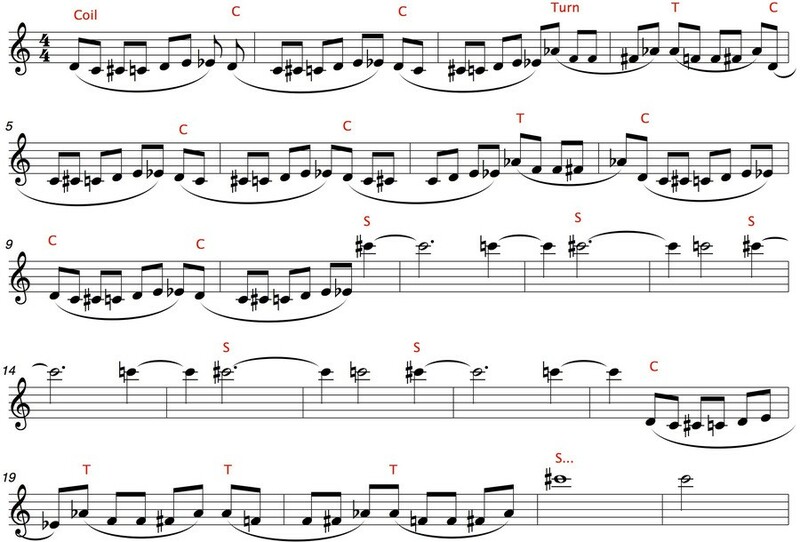 To simplify the work of converting the ACTGs of the tree’s DNA into melody, Middleton developed a web app called musicalgorithms, which let him and his students (and anyone on the internet) plug in a chunk of data to produce a piece of music. Ten years on, he’s learned a few tricks of the data-sonification trade. In his work with Bywater, for example, he decided to score that first track — the spooky Mario Kart loop — using a marimba, which he thought nicely matched the mellow ups and downs of the protein’s structure. For the third track, he decided to smooth out the jagged highs and lows of the auditory structure by mapping it all to the friendly key of C, which gives it an oddly satisfying ring. And more importantly, he worked with Bywater to figure out a way to match the numbers (and letters) of the dataset to musical corollaries that would somehow convey a sense of structure. 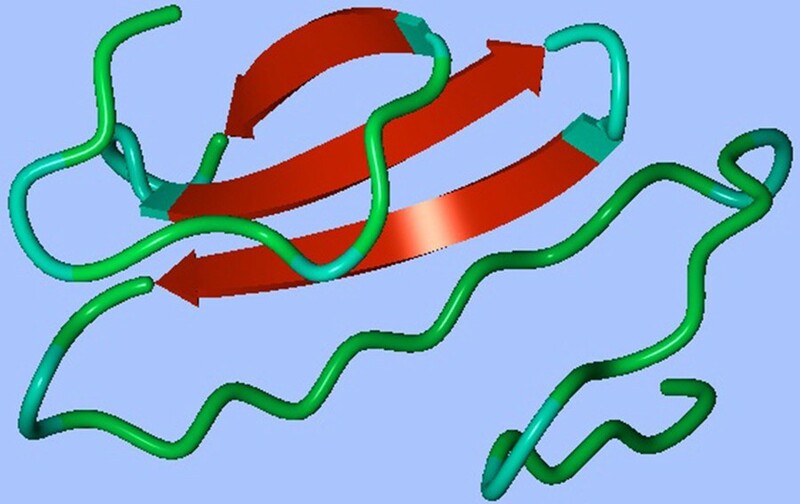 Why does anyone care how proteins get folded up? Well, it turns out that the specific shape of proteins in our bodies changes their function as much as their actual chemical composition, and folding errors — deviations from the normal way a given protein is folded — have been connected to major disorders like Alzheimer’s, Parkinson’s, Huntington’s, emphysema and cystic fibrosis. Imagine if important parts in your car — say the bolts holding your wheels on — were made of the right material, but were in the wrong shape. Bad news! No more wheels. But figuring out the shape of a protein isn’t as easy as taking a tiny little protein picture. 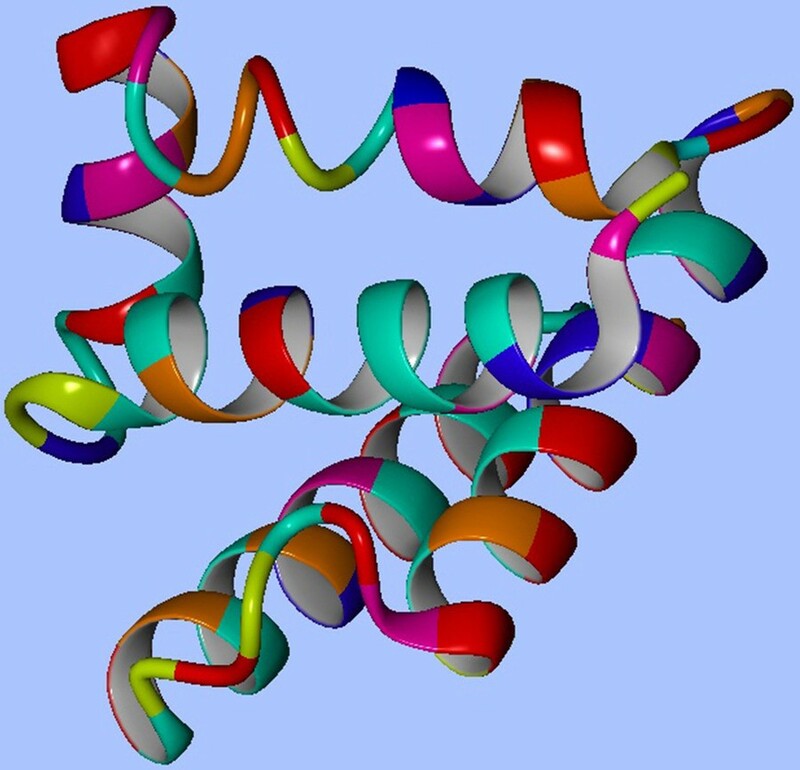 We can look at some proteins directly using microscopes, but most of the data on how they’re folded up comes from secondary data points, which researchers can then extrapolate out to a twisty shape. At the moment, the “listening to proteins” research is just in its proof-of-concept phase. This paper only focused on showing that a listener could even hear the abstract melody as something that “matched” the twists and turns of a 3-D rendering of a protein, like people who can read music understand how a tune matches the notes on a page. But the hope is that the human brain’s capacity for listening to music, remembering melodic patterns, and automatically noticing when something is sonically “wrong” (like a note that’s out of key) could help researchers more easily wrap their heads around how, exactly, proteins get folded up into little bundles, and when they’re folding in dangerous ways. Even though data sonification, which is based on making music somehow work for research, seems like a far cry from standard music composition, Middleton says that he’s happy that the redwoods led him down this path. “I’ve had audiences really get excited about my concert music, but I’ve also had audiences sort of wonder, ‘What was that about?’” Middleton says. The researchers, on the other hand, are always pumped to hear his new stuff. And sometimes, in the process of working on the utilitarian, data-based melodies for researchers in far-flung fields, Middleton stumbles upon a gem that he can use for his own algorithmic compositions. From this most recent work with protein shape, he found a percussive chunk to use in a totally different context.